Decided to try something different. Unexpected, but still OE~ish. Highlander 16's with OE centercaps for winter. New Blizzak WS80's in 215/60. Yes I have an oven in my garage. Also, these wheels wanted to interfere with my caliper outer fins, so I removed a little material from the calipers to create enough room for clearance, rocks and junk. 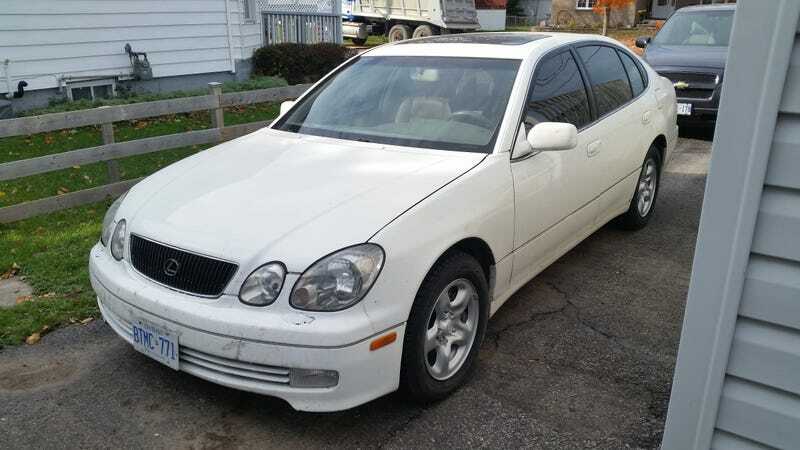 Like I can’t help but continue to base model this GS300 any further. I wish it had cloth seats and no sunroof because I refuse to believe the Cressida ever died.